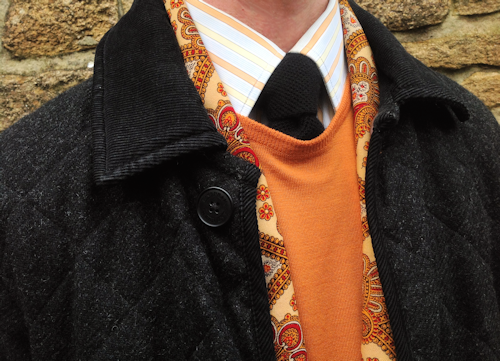 In 2011, you may remember, I worked myself into a relative lather over the Lavenham quilted paddock jacket in charcoal wool you see above and below. This jacket has been an absolute trouper over the last five years, excelling when travelling and for flying visits to pubs. 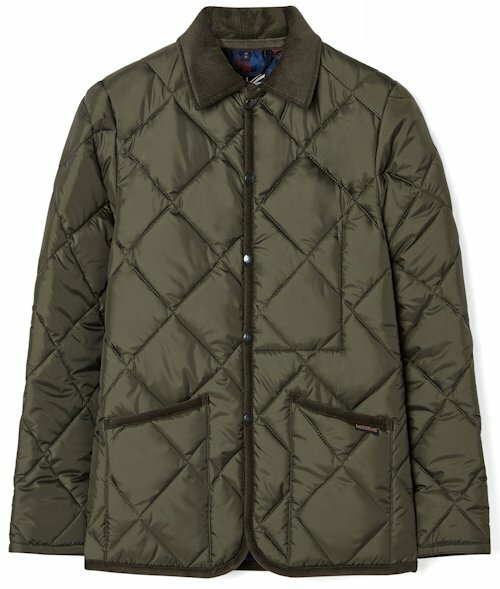 I'm sure you are too much of a traditionalist not to keep a space for a green paddock jacket. For this, we look again to Lavenham. You can have other flavours of this jacket in your classic wardrobe, but it's best to start with time-honoured green and shiny like the Raydon Mens Jockey Silks (below). Lavenham are specialists. 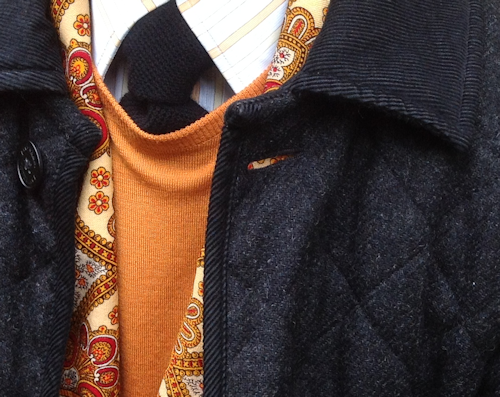 They are able to offer the non plus ultra of paddock jackets to people like us, because paddock jackets — and derivatives thereof — are all they make in the beautiful surroundings of Lavenham, Suffolk, England. The Raydon has impressive four inch quilts. The jockey silks element comes from the spotted lining. 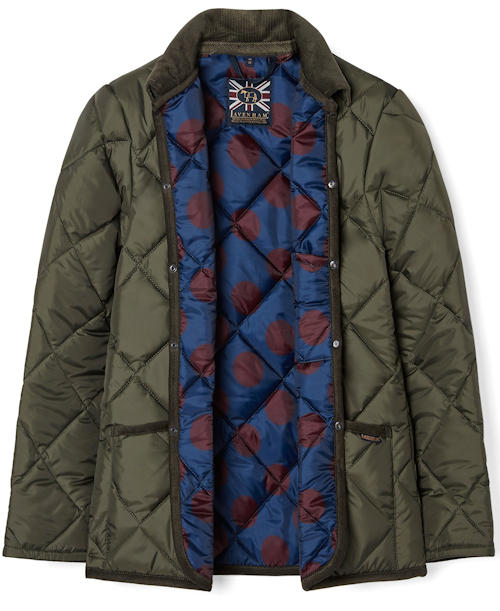 Buy now and see how this style of jacket works with almost everything casual in your wardrobe. Wear it with your moleskin or cord trousers in appropriate colours, then simply add a Border Terrier or Parson Russell Terrier to exude le style Anglais. 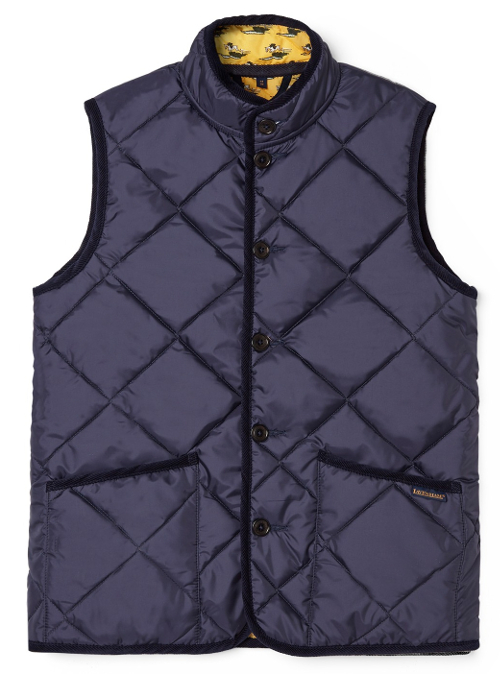 Naturally, you'll also want a sleeveless quilted weskit for when you're driving your Land Rover. Lavenham have a nice one in blue. 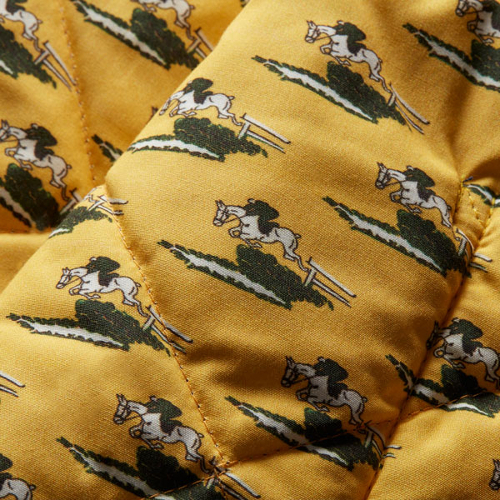 You have the four inch quilting again, but look inside and you will see a charming cotton jockey print from Drake's.